FOR IMMEDIATE RELEASE – Tuesday 9th October 2018 (St. John’s, Antigua)…. The Antigua and Barbuda Basketball Association (ABBA) has selected the country’s first National Female Under 18 3×3 Team. 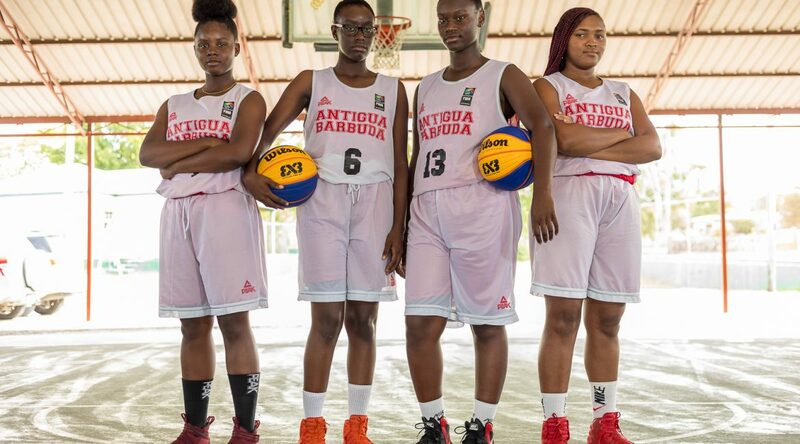 After hosting a successful U18 3×3 National qualifying tournament, ABBA is pleased to announce the National U18 3×3 Female Team selected to represent Antigua and Barbuda in the upcoming International Basketball Foundation (IBF) 3×3 Hoops Finals. The Championships will be held in Georgetown, Guyana at the Cliff Anderson Sports Hall, on October 20th and 21st respectively. Of the four teams that participated in the National Qualifiers held in January 2018, the winning team, comprising of Karel Knight, Kahtalia Valentine, Athalia Ralph and Laumeca Charles formed the country’s first-ever National U18 3×3 Female Team. President of the Association, Carlton Brodie, states that this opportunity further encapsulates the Executive’s intent, “To develop the sport of basketball in Antigua and Barbuda and to use the sport as a tool to empower today’s youth with confidence, commitment and integrity, and to offer programs that promote healthy lifestyles, encourage moral character, develop self-discipline, cultivate a strong work ethic and build the confidence needed to achieve personal success”. The confirmed participants include Aruba, Barbados, Guadeloupe, Martinique, Guyana, St. Lucia and Antigua & Barbuda. ABBA 3×3 Coordinator, Gemma Hazelwood, is confident that the Antigua and Barbuda ‘Lady’ Pitbulls will do very well in the competition as training preparations are progressing smoothly. The Association is encouraging the general public and stakeholders to support the youths on their journey to the IBF 3×3 International Youth Championships slated for October 20th and 21st.